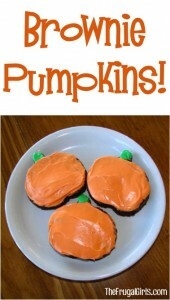 Have some fun with these Brownies Decorated as Pumpkins! 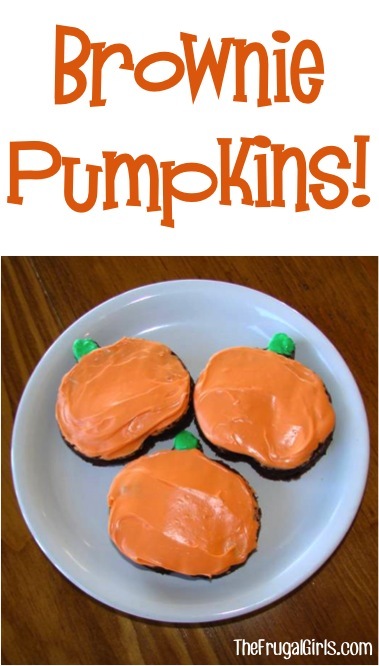 Turn brownies into an adorable Fall Treat…decorate them like Pumpkins! Brownie Pumpkins are fun at home, and a big hit at parties! Here is How to make Brownies Decorated as Pumpkins. How to Make Brownie Pumpkins! Prepare brownies per instructions in 9×13 pan. Use Pumpkin-shaped Cookie Cutter to cut out pumpkin shapes from prepared brownies. Use food coloring to make 2 separate colors… green and orange. If you don’t have orange food coloring, mix red & yellow to make orange. Decorate your cute lil’ pumpkins… and ENJOY!! 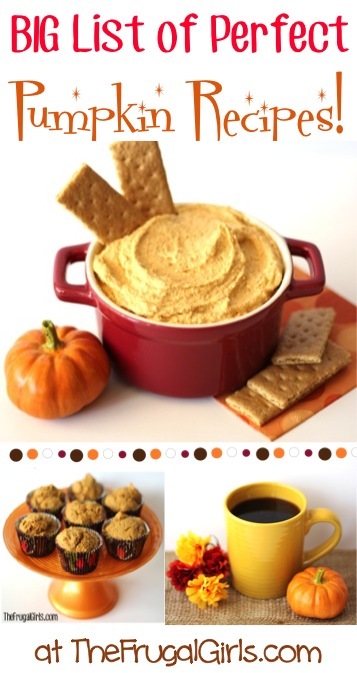 Now… have even more Fall Pumpkin fun with this BIG List of Perfect Pumpkin Recipes! I made these before Halloween for my co-workers. To add a twist, I took chocolate chips and placed them on top to make jack-o-lantern faces. They were very cute! Thanks for the idea!